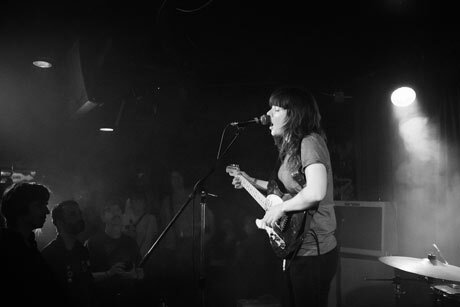 Courtney Barnett "Pickles From the Jar"
Aussie indie performer Courtney Barnett is on a steady incline thanks to her peppy, charming, rough-around-the-edges punk-pop songs. Currently working on her debut album (following her breakthrough double EP A Sea of Split Peas), Barnett's back with a new song called "Pickles From the Jar." The terse, fun track opens with a false start before breaking into a rhythmic fist-pumper complete with delightfully fun lyrics (that include shout outs to Hugh Grant and Christopher Walken). "Pickles From the Jar" will appear on an upcoming 10-inch compilation from Barnett's own Milk! Records label. The release will also include material from the Finks, Fraser A Gorman, Jen Cloher and more. For now, listen to the song below.